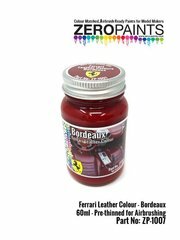 Ferrari Bordeaux red color tone for simulating leather in your Ferrari sport cars models. 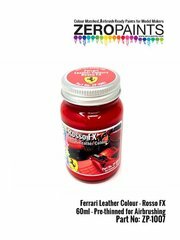 Ferrari Rosso FX red color tone to simulate leather in your Ferrari sport cars models. 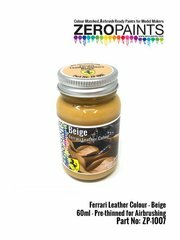 Beige color tone to simulate leather in your Ferrari sport cars models. 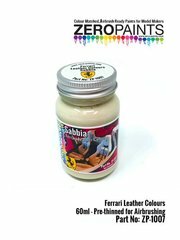 Ferrari Sabbia white color tone to simulate leather in your Ferrari sport cars models. 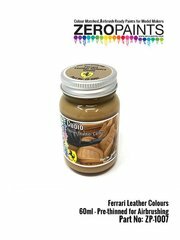 Ferrari Cuoio leather color tone to simulate leather in your Ferrari sport cars models. 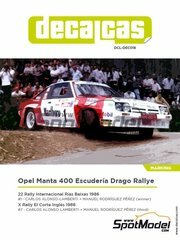 Decoration of the winning car of the 22nd Rías Baixas International Rally and third in the El Corte Inglés X Rally, both in 1986, with Carlos Alonso-Lamberti at the wheel and Manuel Rodríguez Pérez as co-driver. 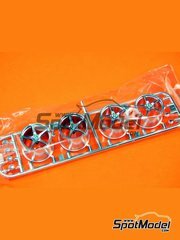 The decoration includes Marlboro advertising. 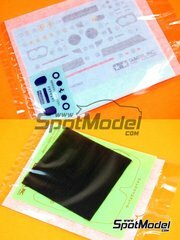 Silver color tone with flashing particles, formulated for brush applications. 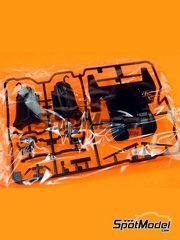 It is served in a 10ml bottle. 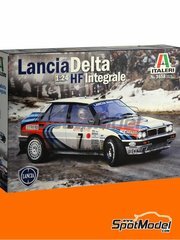 New version of the Lancia Delta HF Integrale 16V by Italeri, with the livery of the official Martini Racing team. 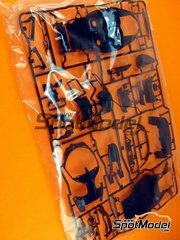 Re-edition of the kit released in 1974, now available again for a limited time. 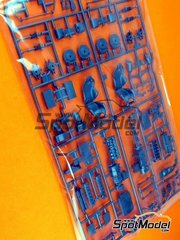 The body is injected in blue plastic and includes 139 parts. 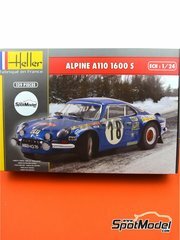 The decoration corresponds to the winning car at the Monte Carlo and Tour de Corse rallies in 1973. 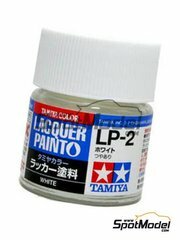 White paint tone from the Tamiya Color Lacquer Paint range, consisting of a fine lacquer as used in the sprays of the brand. 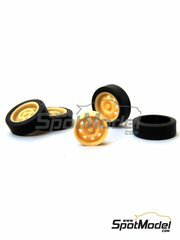 They have the main advantage of drying in a short time and offer a high strength finish. 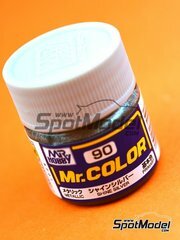 The bottle includes 10 ml of paint. 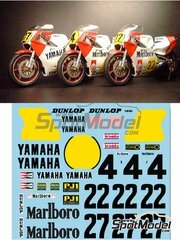 The decals you need for decorating Carlos Lavado's and Eddie Lawson's Yamaha YZR500 OW70 sponsored by Marlboro as it rode during the 1983 Motorcycle World Championship. 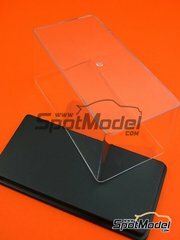 Dimensions are 15.0 x 7.4 x 6.5 cm, designed to protect from dust and dirt your 1/43 scale models. 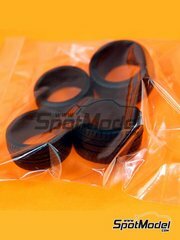 15-inch ATS rims, with Pirelli P6 tyres. 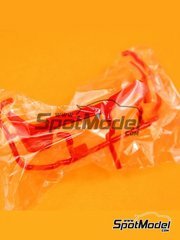 The perfect detail to complete the Volkswagen Golf GTi 1600. 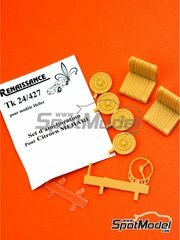 Set of resin parts for improving the Citroën Mehari by Heller. 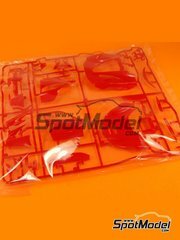 It includes two sets of seats, steering wheel, rims, and two glasses for the headlights. 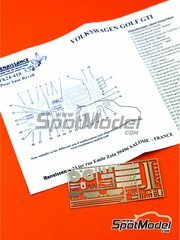 Set of photoetched parts to give realism to your Volkswagen Golf I GTI by Revell. 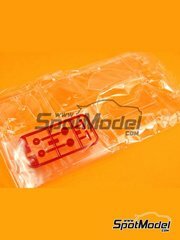 It includes the sun visors, brake discs, VW shields, and even the ignition key with your key ring or pine air freshener.